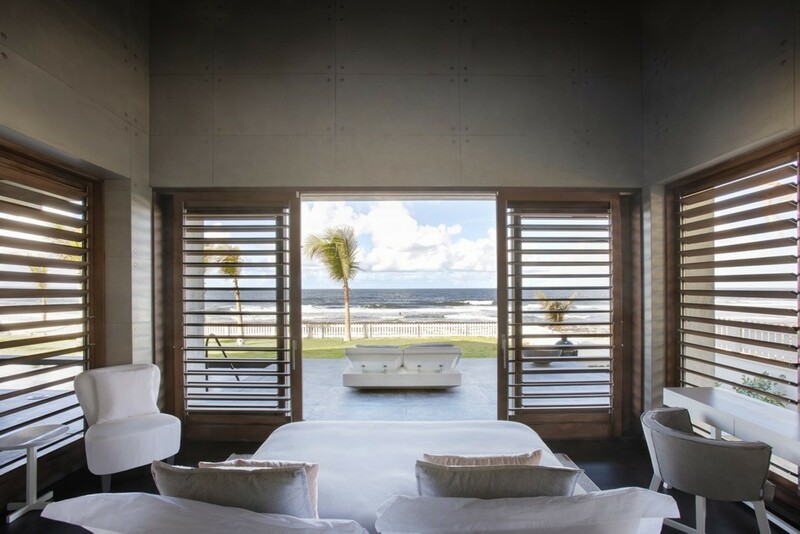 Perched peacefully overlooking the dramatic East Coast of Barbados, you will discover Zazen, a luxurious 5-bedroom villa. Ideally located in the serene area of St. Joseph, this modern Caribbean style villa is an exquisite property for you and your loved ones to enjoy. The Villa can accommodate up to ten guests and is based directly on Cattlewash Beach. 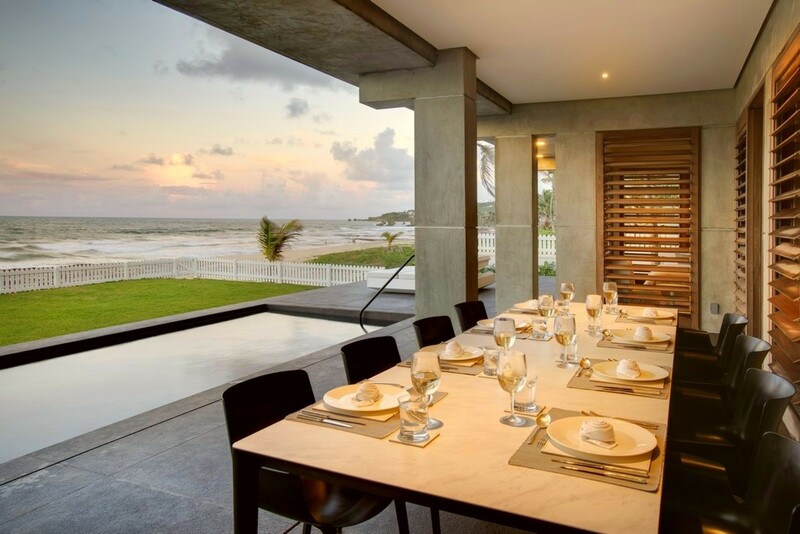 The property encompasses panoramic views of the Ocean, with easy access onto the beach. The ultimate vacation waits for you here in Zazen, catering to your every need as it also provides you with personalized service. 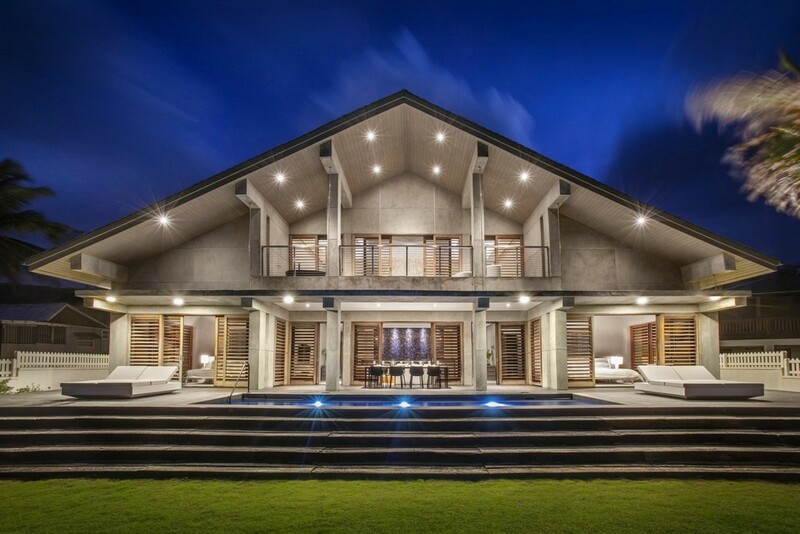 Villa Zazen embraces 6, 000 sq. Ft. of modern interior living space. 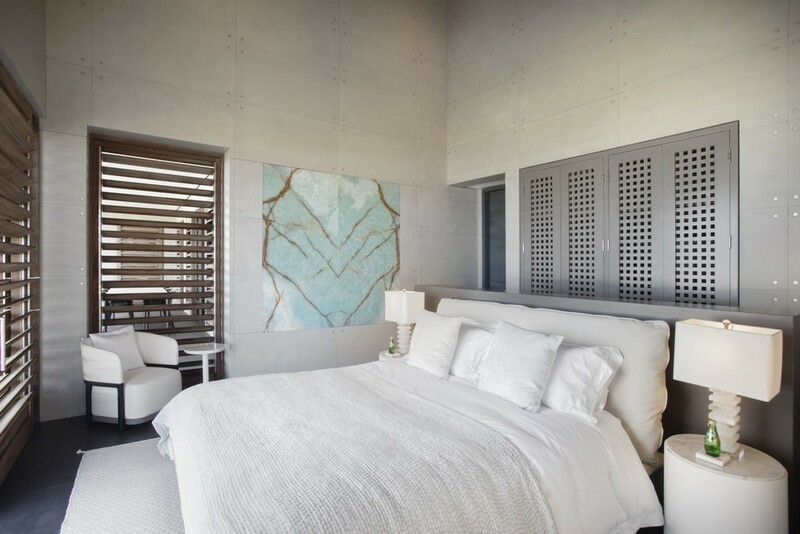 The property indulges in an ultra-modern ambience, as each corner is designed with exquisite artwork and modern furnishings. 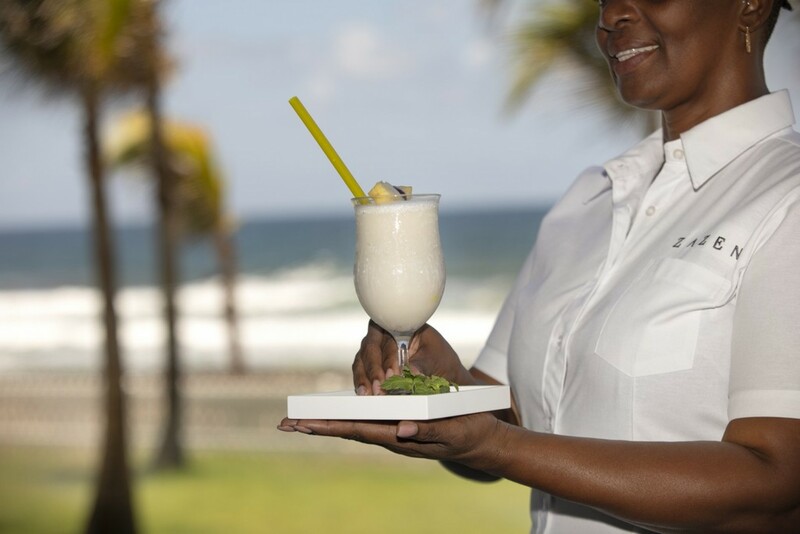 The landscaped gardens are lined with tall swaying palms that overlook the Atlantic Ocean. It is the ideal for a relaxing vacation right on the coast. Behind the villa are vast, gently sloping hills bursting with vivacious vegetation, offering you total seclusion from the mundane world. The area is embedded in a tranquil and serene setting, the perfect tropical island getaway. 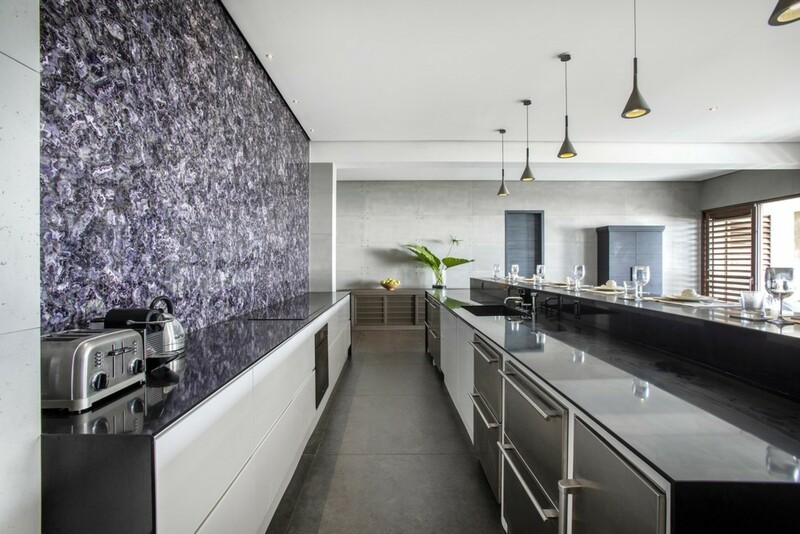 Making your way into the villa, you will notice the cutting-edge architecture that is boldly brought to life in concrete and large swathes of Agate. 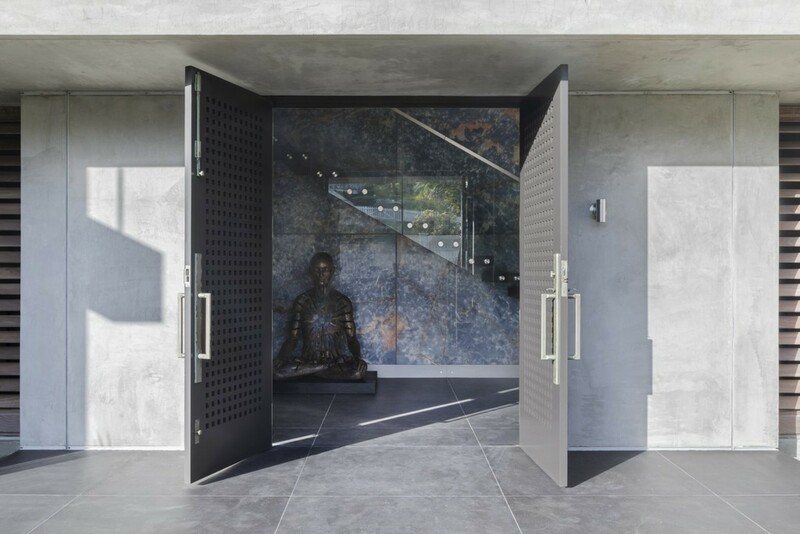 The main entrance opens into a large hallway, designed with a variety of soothing grey tones and decorated lightly with tasteful artwork. The staircase is based here, leading up to the second floor and fitted with a glass rail. As you make your way through the ground floor you will discover the main living areas. 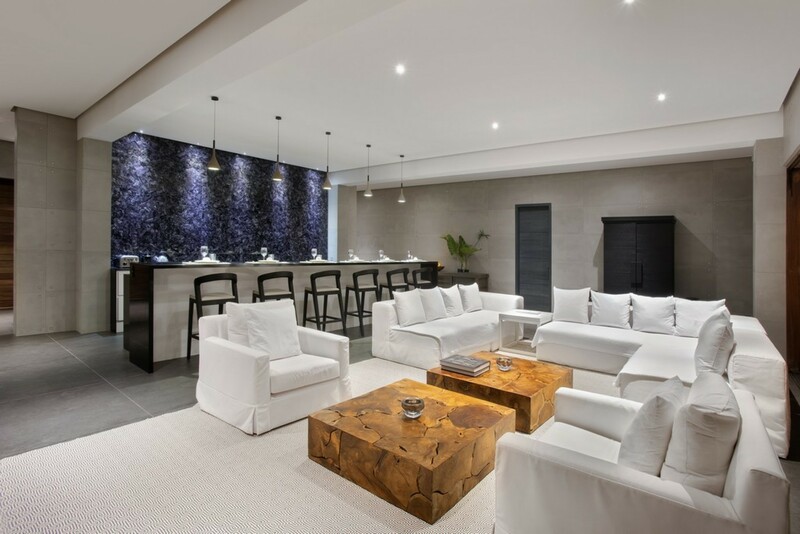 The modern living, dining, and kitchen area are all blended into an open-plan living space. 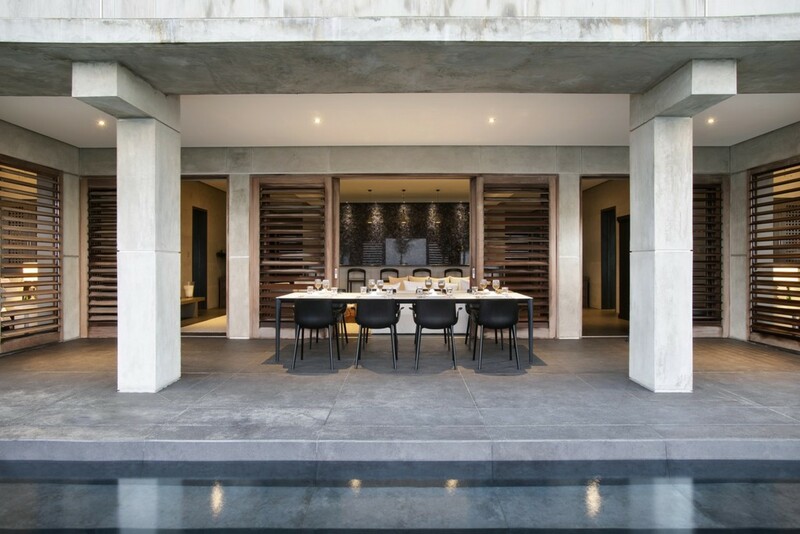 The room spills out onto the terrace seamlessly, blurring the lines between the interior and exteriors. 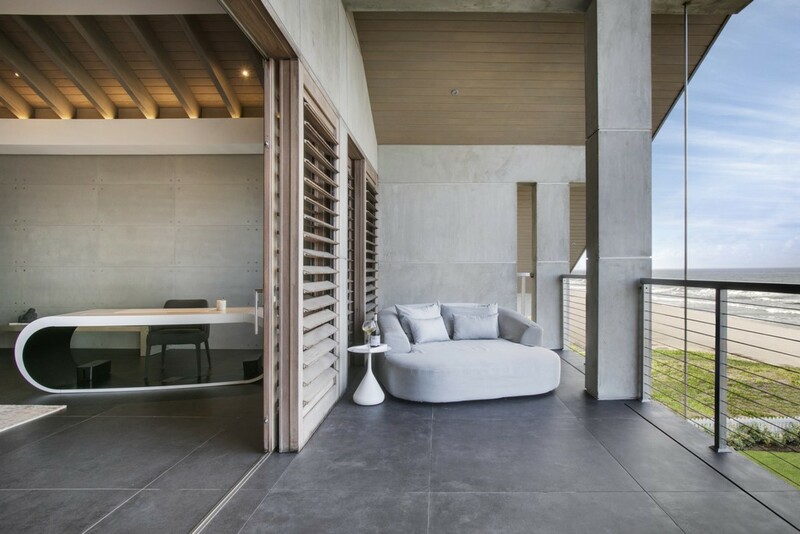 The large windows fill the room with light and indulge the space with panoramic ocean and beach views. 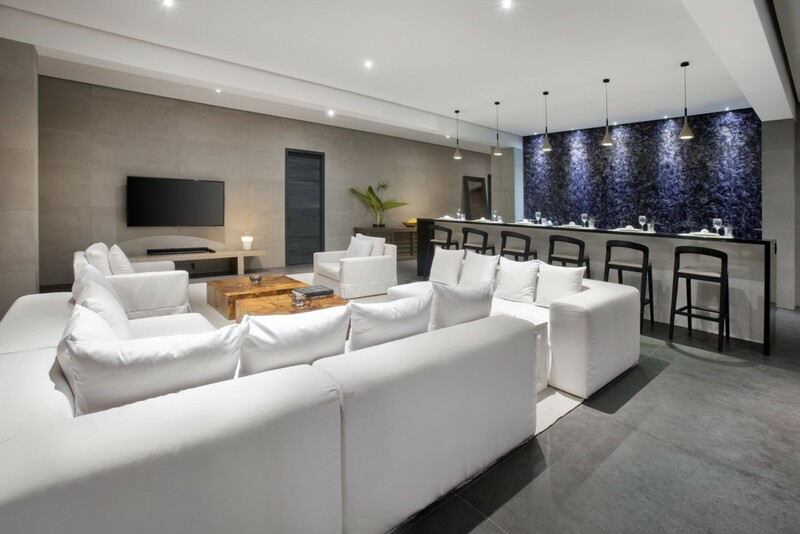 The living area is fitted with plush sofas that are perched near a TV mounted up on the wall opposite. The kitchen comes fully equipped and ready for you to use. 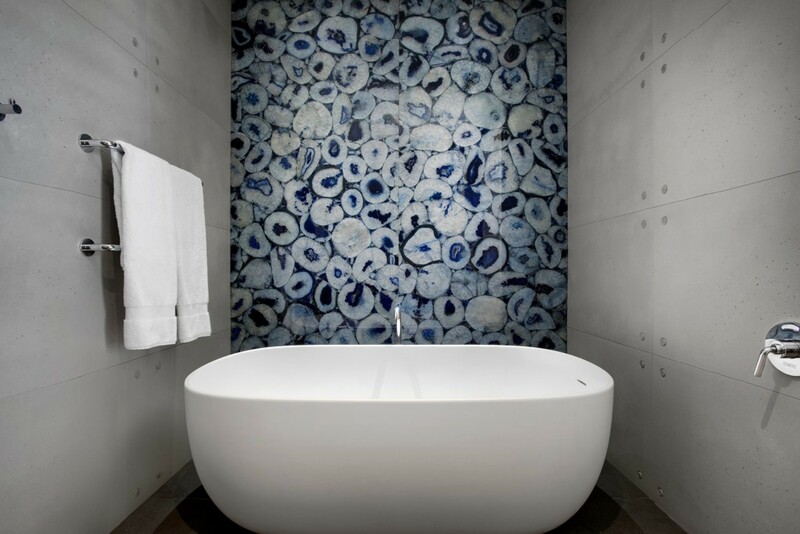 The back wall is decorated with a swirling marble design, adding texture to the smooth grey tones throughout the room. 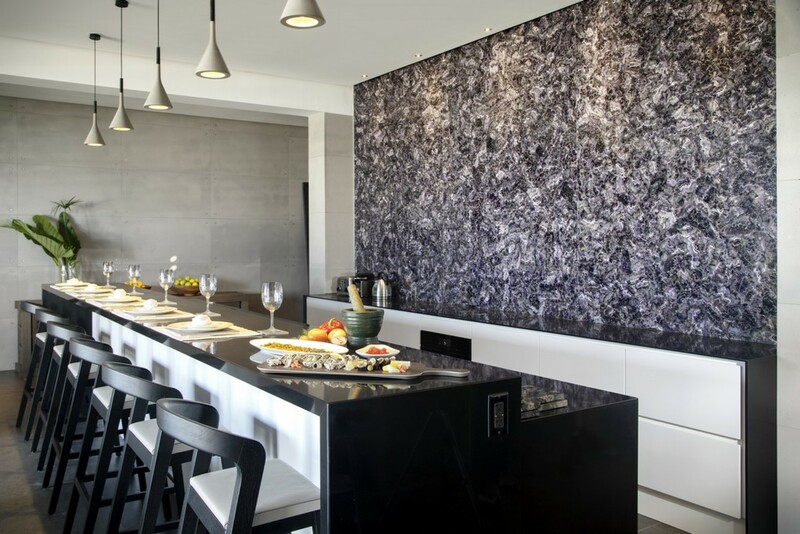 The kitchen also includes two elongated counters, one of which seats six guests. On the terrace, you will enjoy the 360-degree views across the ocean. 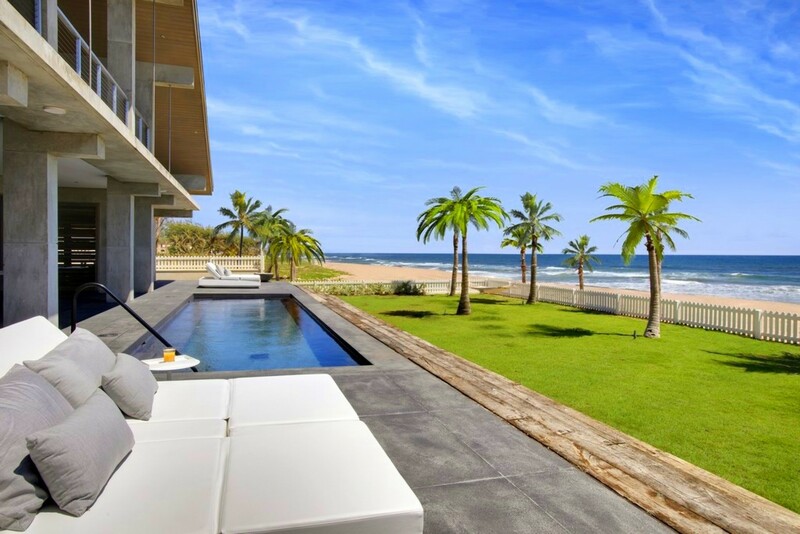 With the beach as your backyard, spending a day beside the Ocean comes easy. Cattlewash offers a long stretch of powdery white sand, perfect for sunbathing. The mild turquoise saltwater is perfect for swimming in. Start each day with a leisurely walk along the shoreline as you watch the sunrise, melting the sky into a profusion of pastel pinks. Back in the seclusion of your own villa, Zazen, you can slip into the refreshing water of the private swimming pool or lounge on the sunbeds or hammock as you set yourself into holiday mode. Let the breeze skim across your skin as the sun beams down. The rhythmic sounds of the waves will lull you into relaxation each day in this Caribbean paradise. In the evenings you can indulge in some island style living by dining alfresco under the covered terrace. Seating eight guests dine in style with delicious cuisine served up by your professional chef. Watch the moonlight dance along the surface of the ocean as you stargaze before bed, surrounded by your loved ones. 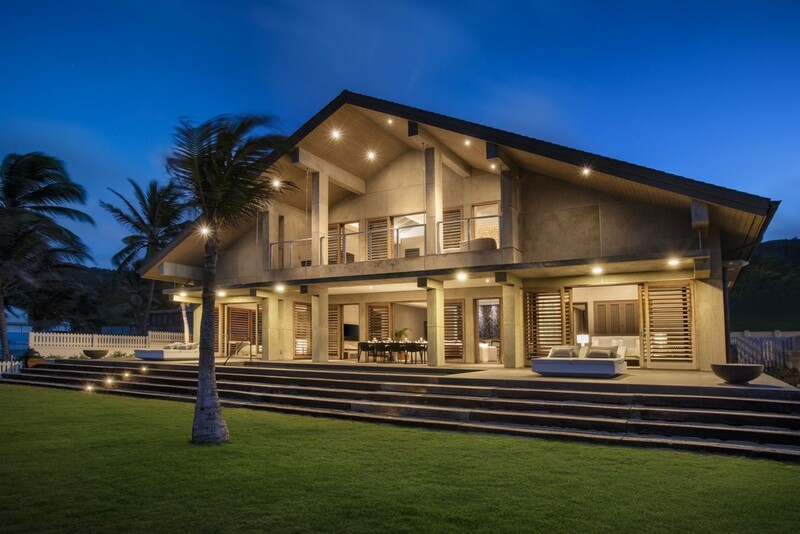 Zazen features a total of 5 bedrooms throughout the property and 3.5 bathrooms. 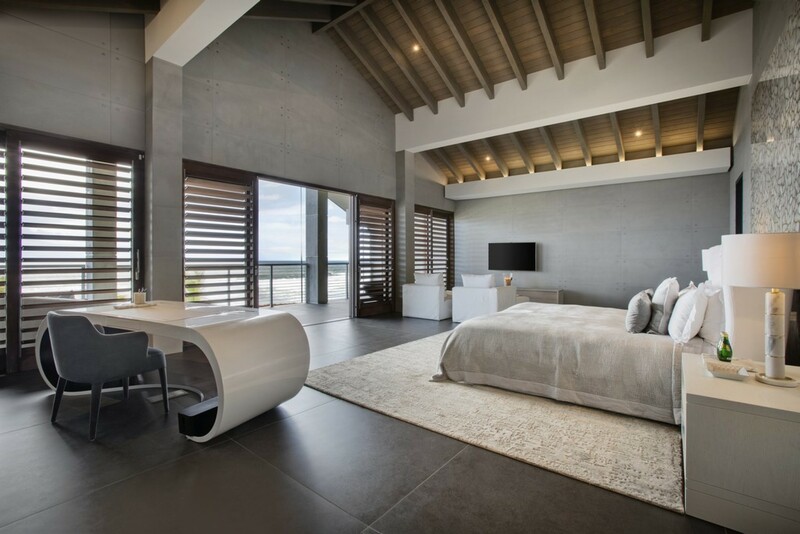 The master suite includes a large King-sized bed and offers you an En-suite private bathroom. 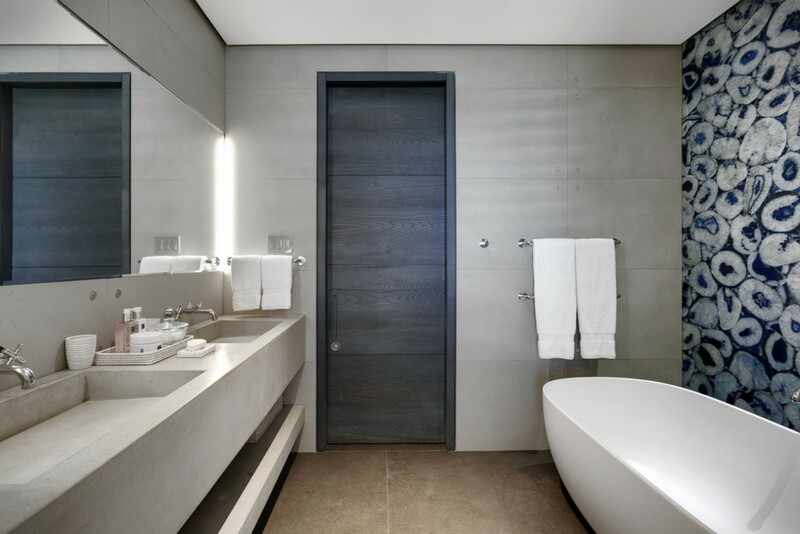 The bathroom includes luxurious amenities including the pampering standalone bathtub, extra-large rainfall shower, and modern double vanity. 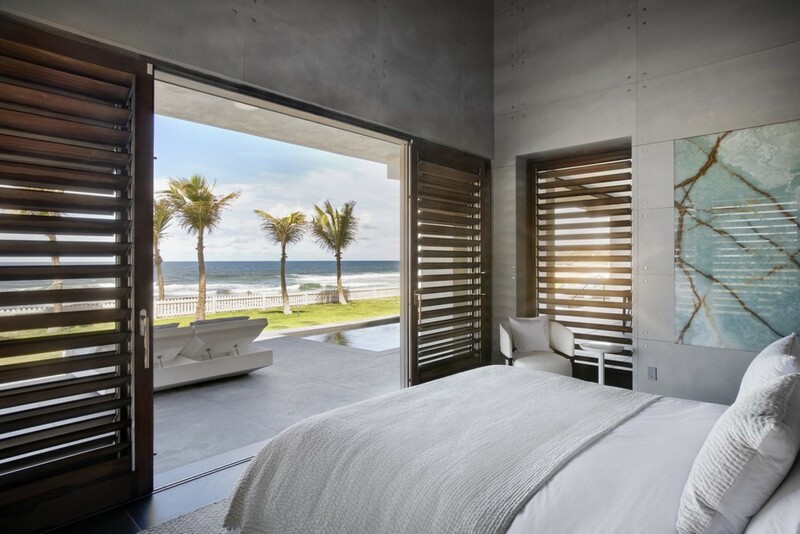 The master suite features private access out onto the patio with outdoor seating and incredible Ocean Views. The second bedroom is fitted with a lavish Queen-sized bed and offers your guests a private balcony with elevated views over the pool and gardens. 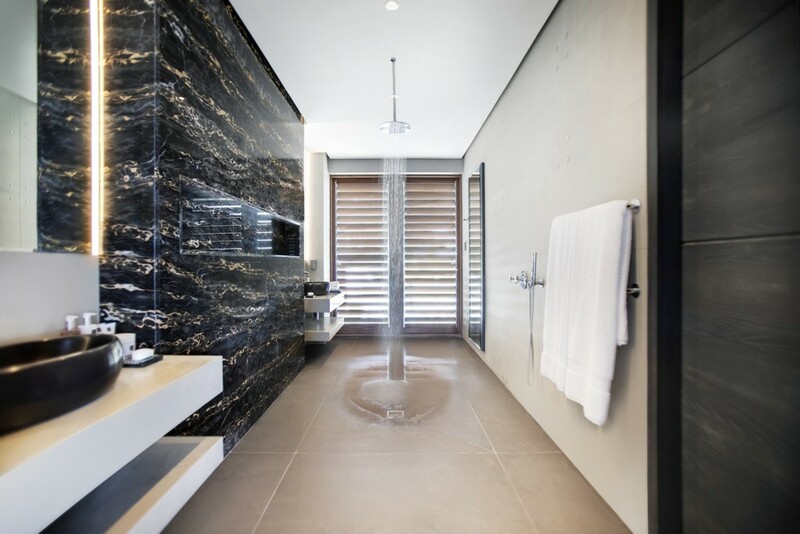 The bedrooms embrace its own En-suite bathroom with a rainfall shower and double vanity. The third bedroom in the property features a luxurious California King Bed, while the remaining two bedrooms enjoy luxurious double beds with access to the guest bathroom. Bedroom 1 Master: Luxurious Master Suite, Large King-sized Bed, Private En-suite Bathroom, Standalone Bathtub, Extra-large Rainfall Shower, Double vanity, Access onto the Large patio, Ocean Views. 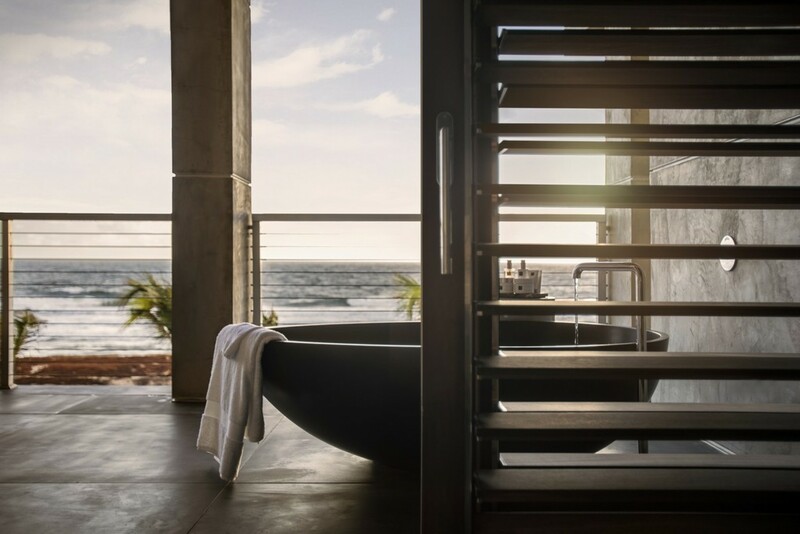 Bedroom 2: Lavish Queen-sized bed, Private En-suite Bathroom, Rainfall shower, Double vanity, Access onto a Private balcony with views over the pool and gardens. 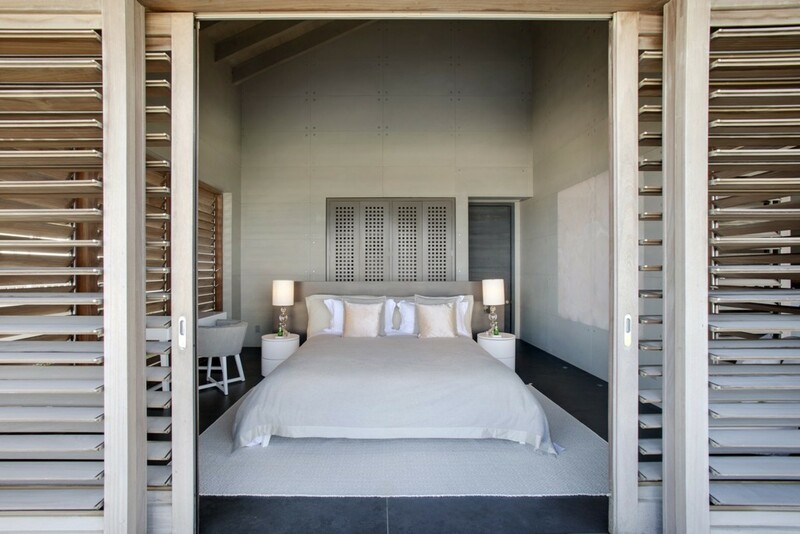 Bedroom 3: Luxurious California King Bed, Private En-suite Bathroom, Rainfall shower, Double vanity, Views over the garden. Bedroom 4: Luxurious Double Bed, Access to Guest Bathroom. Bedroom 5: Luxurious Double Bed, Access to Guest Bathroom. 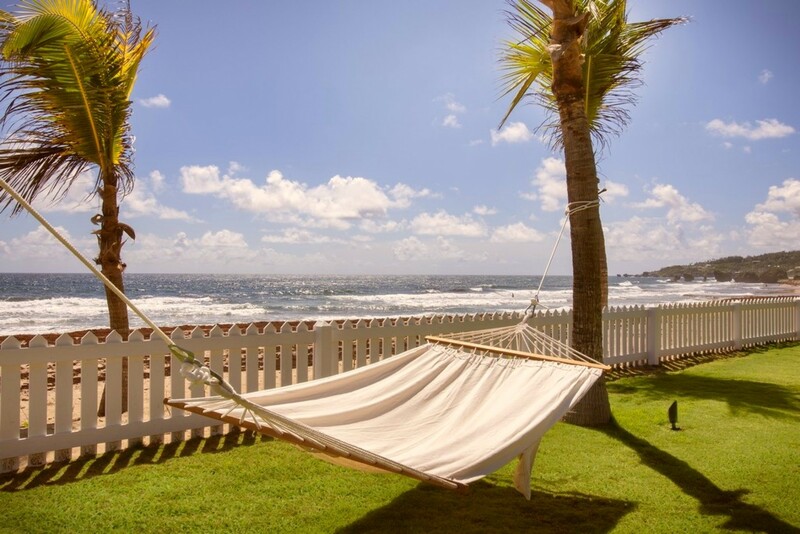 Villa Zazen is ideally located overlooking the dramatic East Coast of Barbados in St. Joseph. 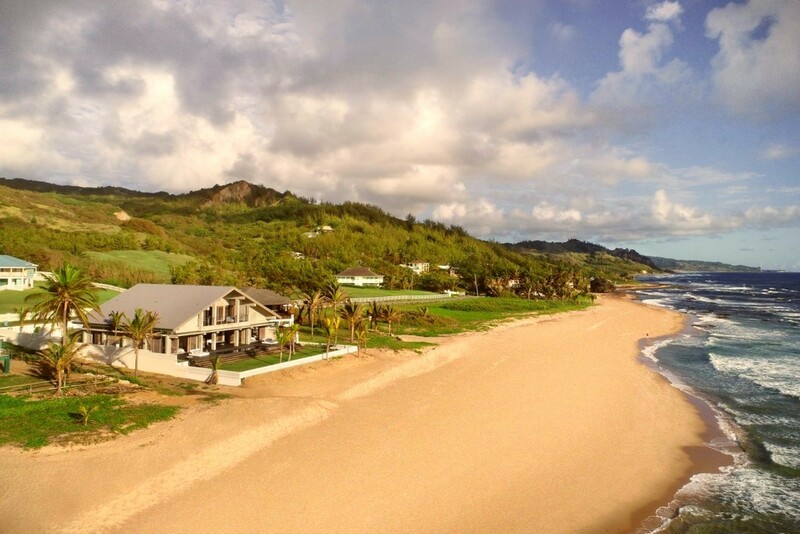 The Villa is based directly on Cattlewash Beach, and encompasses panoramic views of the Ocean, with easy access onto the beach. Barbados is a vibrant coral island that is nestled in the tranquil waters of the Atlantic Ocean. Here you will discover the abundance of beaches that stretch along a crystalized blue-green sea. Coral reefs fringe the coast and provide you with some of the best snorkelling and Scuba Diving Locations. The trade winds provide the land with a refreshing breeze giving it a mild and pleasant tropical climate.